a Dutch-Indian young man who joins the foreign legion during Wold War I and enters trenchwarfare. A great disillusionment awaits young Arthur when the horrors of trench warfare project him into adulthood in a very short period of time. From the trenches Arthur writes letters home. Emotional letters with stories of struggle and the spirit of the time. These letters served as a basis for the scenario, written by Klaas van Eijkeren, who also directed the film. thus far from heroism. 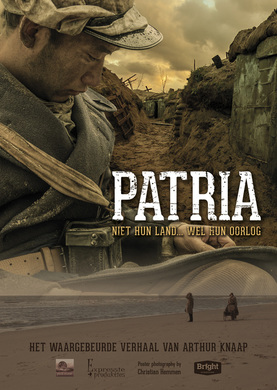 By telling the story of Arthur Knaap, Van Eijkeren gives a face to the hundreds of other Dutch that joined the foreign legion. When Klaas van Eijkeren discovered the life story of Athur Knaap in 2006, it raised his interest. Years of research, including obtaining the letters that Arthur wrote during that period of time, resulted in a truhtful film about his life story. NO MAN'S LAND is the film debut of Klaas van Eijkeren who entered the film making scene with his short film 'Ringtone Rebels' in 2006.